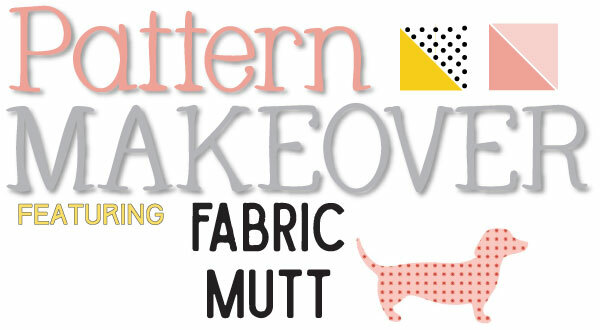 It's time for our final project in the Pattern Makeover series with Heidi from Fabric Mutt! Did you catch last week's Wednesday Special? If you did, then this project is perfect for you to try out with your new Fat Quarter Style Book! If you missed the special, don't fret! You can purchase the book with quick shipping! We always love fun house decor projects, and we're loving this pillow pattern makeover from one of our favorite Fat Quarter Shop books! Read on to see how Heidi took a pattern and transformed it into something new! 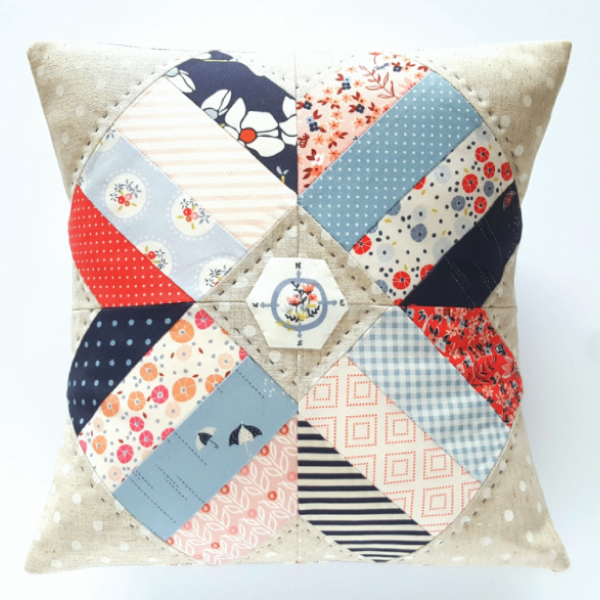 The moment I saw the Blossom quilt pattern in Fat Quarter Style, I knew that it would make a gorgeous scrappy pillow. I had planned to use a mix of colors and prints from my stash, but then I ordered bundles of the new Charleston and Les Petites collections by my friend Amy Sinibaldi for Art Gallery Fabrics and that settled everything. I stuck closely to a palette of pink, cream, white, and blue with the prints that I used, even following a color pattern as I laid out my strips around the pillow top. For the background, I used Sevenberry canvas, featuring white dots on a natural background. I love the way the soft cotton prints contrast with the texture of the canvas, and the polk-a-dots add a nice bit of interest to the pillow. 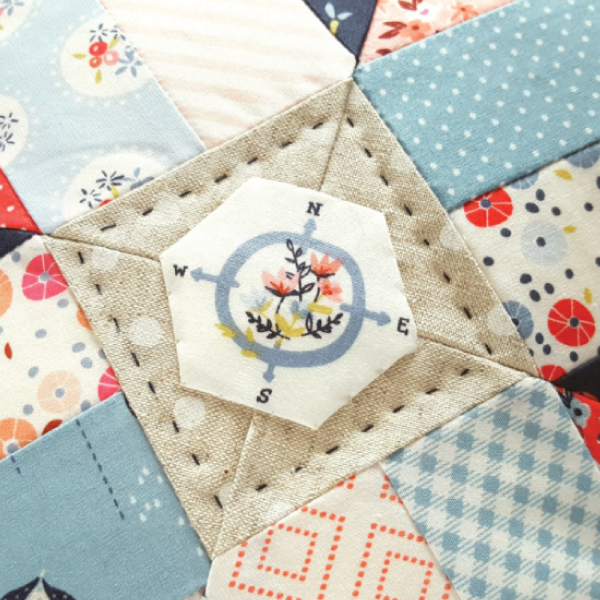 One change I made to the pattern was adding a hand appliqued hexagon to the center of the quilt block, showcasing Amy’s adorable flowered compass from her Charleston print called “The Row.” The 1” hexagon fit perfectly in the middle of the block, leaving plenty of room for the hand quilting I added in navy thread from the Cotton + Steel Sulky collection. 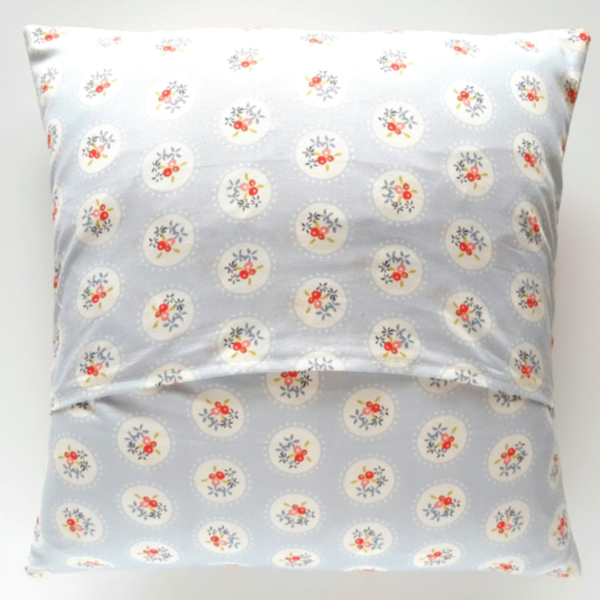 I backed the pillow in Amy’s Pavillion Teacup print from Charleston, which I love to pieces. It’s so sweet, and it complimented the pillow beautifully. How sweet is this pillow?! We especially love the compass addition to the middle! If you missed the first two projects from the Pattern Makeover Series, you can still find the tutorials for a Hair Bow Pouch from Fat Quarter Baby and the Gingham Coaster Blocks from Farm Girl Vintage!